Most business owners are extremely busy with very few hours to spare each day. Yet, so many don’t use technology to its fullest when it comes to managing various tasks. And it’s understandable that not everyone is proficient in using complex software. Just like some cars are easier to drive than others… some software is much easier to use than others, because they focus on making it simple to use. For instance, many legacy vehicle route planning software was built for the last century. Easy access to the internet while on the road, cloud computing, and smartphones didn’t exist. Only large enterprises could fork out the cash needed to use these behemoths. But times have changed… even solo operators can have access to the same route planner benefits today, like the enterprises of old… without breaking the bank. 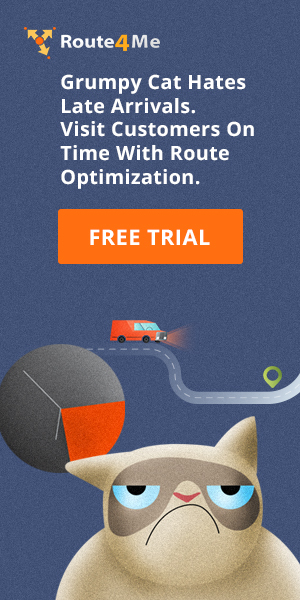 The only question is: Which route optimization software fits your needs? What are the different options offered that could help you plan routes even faster? Does it simplify the vehicle route planning process well enough? You need to find answers to these questions to ensure you’ve made the correct decision. 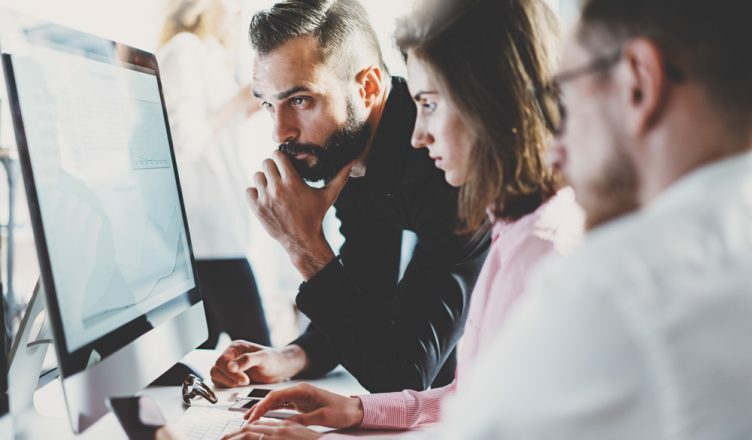 The good news is that you don’t need to worry about any of this when it comes to Route4Me’s routing optimization software. The software has many route planning options to help you plan routes in minutes! Yes… you read that right… in minutes! And it scales to your needs and business. In this article, we’ll show you how you can use Route4Me to plan routes faster than you could ever have imagined. 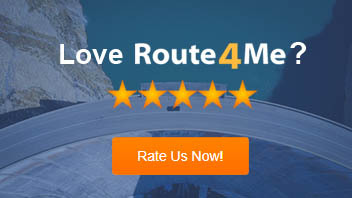 Here are five ways you can plan routes with Route4Me. This is the best way to plan routes when you don’t have a lot of addresses to plan routes for. Just select this option and enter the info that Route4Me needs to plan optimized routes. That’s it. This option helps you simply copy and paste the addresses for which you need to plan routes. Do you only have the addresses written on a piece of paper? Well, Route4Me can help you here as well. You just need to scan the document and upload it to Route4Me. The route scheduling software will then automatically fetch the addresses and help you plan the routes. Great if you work with another company that likes to do things the old way… by handing you a large stack of papers and placing the work on your shoulders to sort of the best way of reaching the addresses. One of the great things about Route4Me is that we don’t limit you to our specific way of doing things. We understand that businesses have different ways they get their client information. Some might have a large database, while others have index cards and invoices that they use. 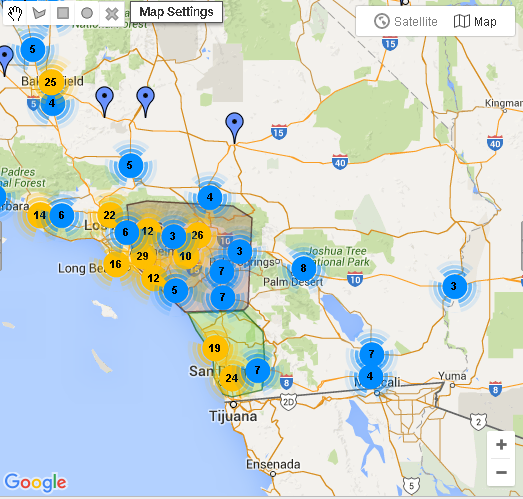 What so many of our clients love… is their ability to store addresses inside Route4Me, see them all on a map, and easily select them each day and plan a route in a few minutes. As shown below, you can also draw an area to travel from the map. The route start date and time. Another way to use the map screen is to plan routes from the address book map. You can directly upload your list of addresses and it will be shown on a map. If you want one driver to visit the east side and another to handle the west side, you can do this with a single mouse click. You can select the addresses on the map itself and create your own borders. Unselect any locations that you won’t be going to for this route and hit “plan my route”, as shown below. Also, you can select the number of drivers that you want to cover a specific route. If you’re not sure about how many drivers you think is needed for the route, then simply enter 1 to 100 or 500. Route4Me’s vehicle route planning software will then automatically assign the drivers accordingly. After you click on “create routes”, the planned route will look like the image below. Here the term ‘Part’ denotes the count of drivers. You can even add another address, after the last stop on the map itself. And, if you plan to assign the route to a specific driver, Route4Me has a solution for that too. The best part is that all the routes you plan are automatically saved in the software. You can then use this data for future route planning. Or for tracking the exact cost of that route or day… Route4Me’s vehicle route planning software automatically keeps track of your gas and employee time for each route. Also, this helps you identify the untapped locations on the map itself. In this way, you can plan and target new areas for business expansion. You can create demo routes, with real potential customer addresses, and see how much it would cost you to expand into that new territory. So, how fast you can plan routes? Do you have any questions? Please feel free to leave your comments below and thanks for reading!